The “What Am I Thinking” (WAIT) Contests are essentially an “add a caption” competition. You look at the pic below, add a great caption to it and then I narrow the field to those “in the running” and eventually (after the weekend) pick a winner. If your caption doesn’t go live right away, no worries, I’ll have to “approve” you as an approve commenter. Winner gets one of the last few “Together” shirts we have left from our Spring Retreats. “If Lebron had just made a few more shots in the 4th quarter, we wouldn’t be having this problem” ~Nathan S.
“Where did you say you I TOLD YOU SO Cards are?” ~Jan A. We didn’t need any entries after Nathan’s… I knew as soon as I read it it would be the winner. Great job friend! Shirt shall be delivered to a Network meeting soon! How many times do I have to tell you that button isn’t for the radio. I just dropped a ton of bricks!!! 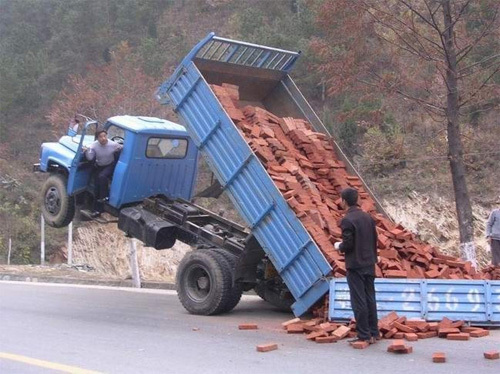 I told you I really needed to drop a load!